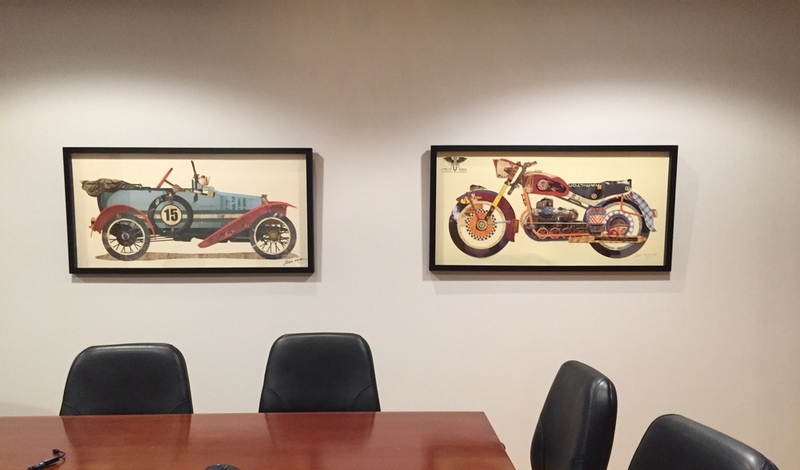 A wealth management office in Eau Claire Wisconsin wanted to create a warm, inviting office utilizing original artwork while remaining austere. We assembled a collection of 50 works of art primarily by regional artists. This high-growth marketing company needed to finish off their creative space on short notice. We pulled together a fun artwork assortment, all locally sourced, to meet their deadline. After moving, a Minneapolis-based law firm wanted to start an art collection by acquiring pieces over time, while maintaining a limited budget. We have been helping them grow their collection, a few pieces at a time, as new and unique artwork comes to our attention.